[By Nick, limited 2014, full time 2015] I feel as if red velvet cake's trendiness has come to an end. 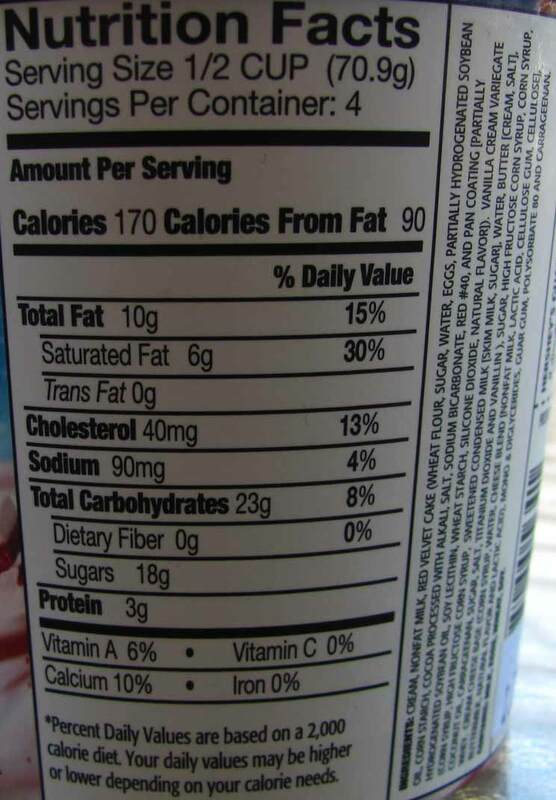 ‎I can't think of too many food companies offering new red velvet products this year outside of the ones around Valentine's Day. 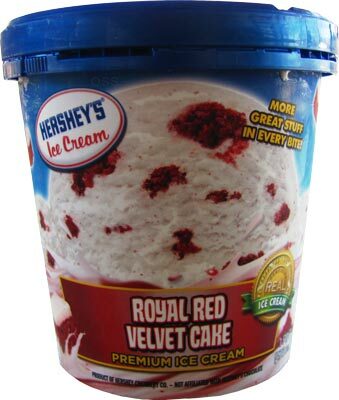 That didn't stop Hershey's from turning their limited edition Royal Red Velvet Cake flavor from last year into a permanent flavor this year. I never got the chance to try Hershey's ‎version last year. I'm going to blame that on me not being friends with the Niskayuna Co-op yet which is where I find all of my Hershey's pints now. The ice cream itself is pretty mild. You definitely get a cream cheese vibe but nothing too cheesy or overpowering. It's a pleasant and slightly addicting ice cream on its own actually. The vanilla creme doesn't add much besides some added sweetness to counteract the slightly cheesy base. At least there's a contrast in color so I know I'm actually encountering the swirl. 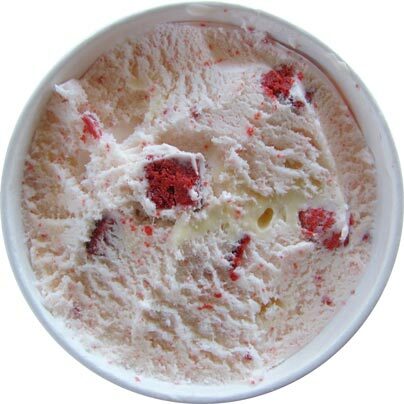 The red velvet cake chunks are just as described. Very chocolate and cocoa-y and moist as cake should be. I feel like our cake freezing technology is getting better and better because I can't remember the last time I had a dud cake piece. 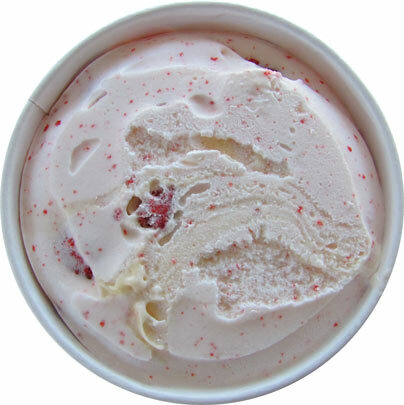 As a whole, this ice cream does remind me of red velvet cake. I feel red velvet cake is defined by the cream cheese icing and that's what you get here. The cream cheese is the star with the cake doing its job as well. While I still prefer Friendly's version, this might just be my second favorite rvc offering. Where can I find Hershey's ice cream? I am a Red Velvet fanatic and next to Ben and Jerry's Red Velvet,which is the best, Hershey's Red Velvet is right behind it. What I LOVE about this one is the cream cheese is the flavor of the ice cream instead of the cocoa red velvet. It is out of this world and hard to find.